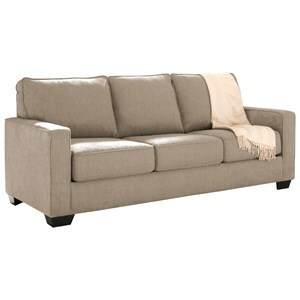 With style and sophistication the Queen Sleeper Sofa adds a classic look to any living room that will stand the test of time. 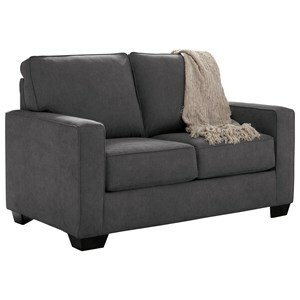 The Queen Sleeper Sofa is the ideal way to make your guests comfortable when spending the night with the upgraded memory foam mattress. 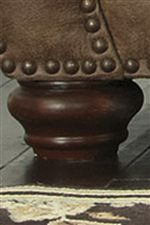 With traditional styling, the sofa features large curved roll arms, nailhead trim and exposed bun feet. 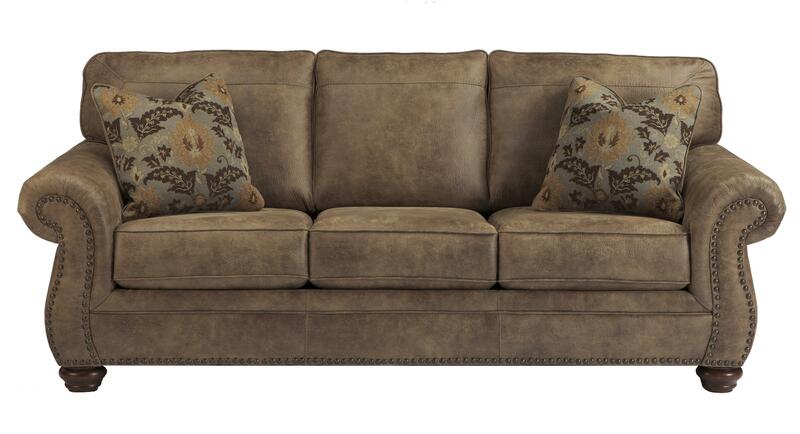 Bringing depth and texture to the Sofa are two throw pillows with a stylish pattern. 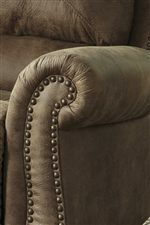 The sofa is covered in a leather-like fabric adding a luxurious touch with jumbo window pane stitched detailing. 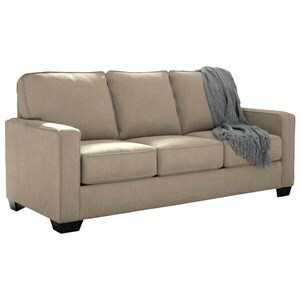 Pair the Queen Sleeper Sofa with the Loveseat to create a refined living room. 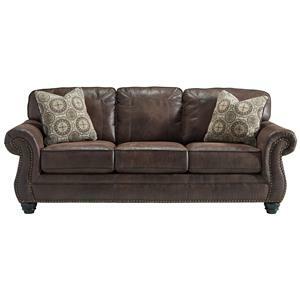 The Larkinhurst - Earth Traditional Queen Sofa Sleeper by Signature Design by Ashley at Miskelly Furniture in the Jackson, Pearl, Madison, Ridgeland, Flowood Mississippi area. Product availability may vary. Contact us for the most current availability on this product.